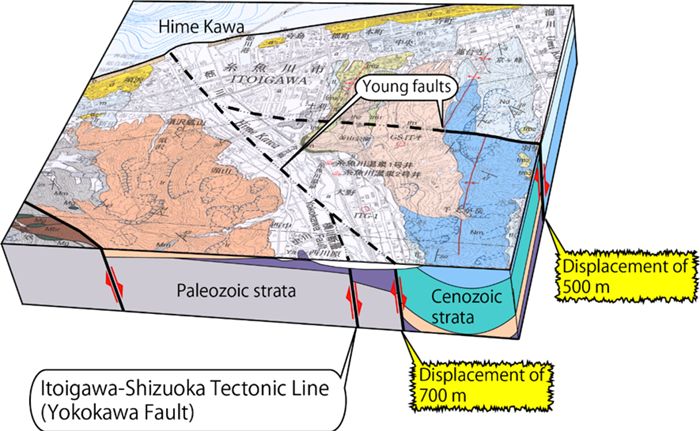 The Geological Survey of Japan (GSJ) has published the 1:50,000 quadrangle geological map of “Itoigawa”, working with Nagoya University (authors: Hideaki Nagamori1), Ryuta Furukawa1), Makoto Takeuchi2), and Tsutomu Nakazawa1)) (Fig.1). The Itoigawa area is located in the southwestern Niigata Prefecture, in which the north end of the Itoigawa-Shizuoka Tectonic Line (ISTL) lies. ISTL is a major tectonic line that geologically separates northeast and southwest Japan. The map is the last piece that completes the area of northern part of ISTL. Older Paleozoic and Mesozoic strata are distributed on the west of ISTL and the Cenozoic strata on the east, the area known as the Fossa Magna, where active volcanism took place about 1 to 0.6 Ma. This time the authors have revealed the details of the volcanism such as stratigraphic sequence and the age of rocks which have been poorly understood. The survey results indicate that ISTL has been fragmented by orthogonal fault complex and has become inactive in its northernmost part (Fig.2). They also clarified that both areas across the tectonic line have been synchronously uplifted, indicating that ISTL in the area is neither a transform fault nor a collision boundary, which means that it is not a plate boundary as has been thought. The map is expected to be useful in mitigating disasters and outreach activities. 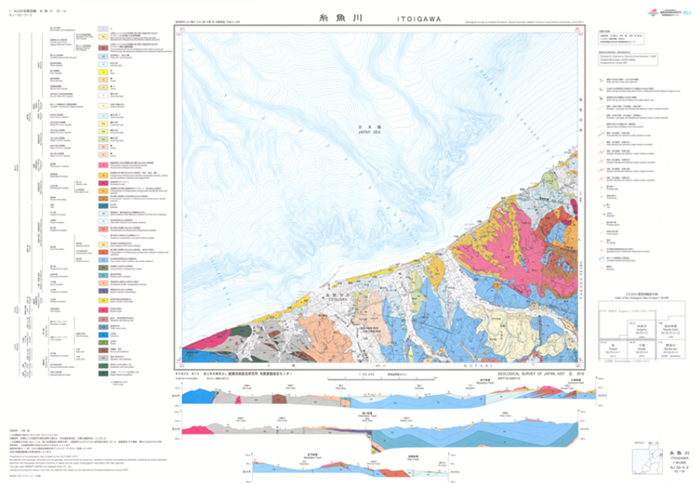 Fig.2 Geological map with cross sections of the northernmost part of the ISTL.